The dream is about to be realised, you're joining a team and are set to live out all of your sporting fantasies and make new friends along the way - but before you step on the court/pitch/field, take a second to read our Code of Conduct for players below. When playing with a Just Play team, don't forget that you're representing your teammates, the 1000s of other Just Play members across Australia and most importantly yourself. Compete in the spirit of fair play and honesty. 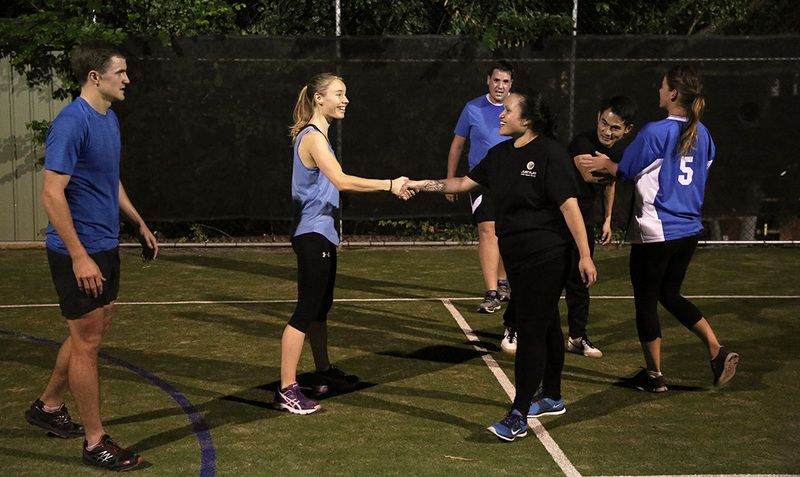 Cooperate with the venue staff, teammates and opponents in a courteous and respectful manner. Refrain from using profane, insulting, harassing or otherwise offensive language. Verbal or physical behaviours that constitute harassment or abuse are unacceptable. Respect the rights and dignity of all participants. This includes but is not limited to their gender, ability, cultural background or religion. Put the good of the game and your fellow players' safety and enjoyment above the desire to win at all costs. Abide by the rules of the game and competition, as well as the individual player conduct policy of the venue at which you are playing. Players that fail to adhere to this code of conduct are subject to disciplinary action including but not limited to: suspension / removal from their team and competition as well as exclusion from competing in Just Play teams and / or games in the future. At the end of the day Just Play is about providing an opportunity for anyone to have a fun sporting experience with new people, and we want you to actively contribute to making that experience as great as possible for everyone involved. If you have any questions, don't hesitate to get in touch or check out our other FAQ's.